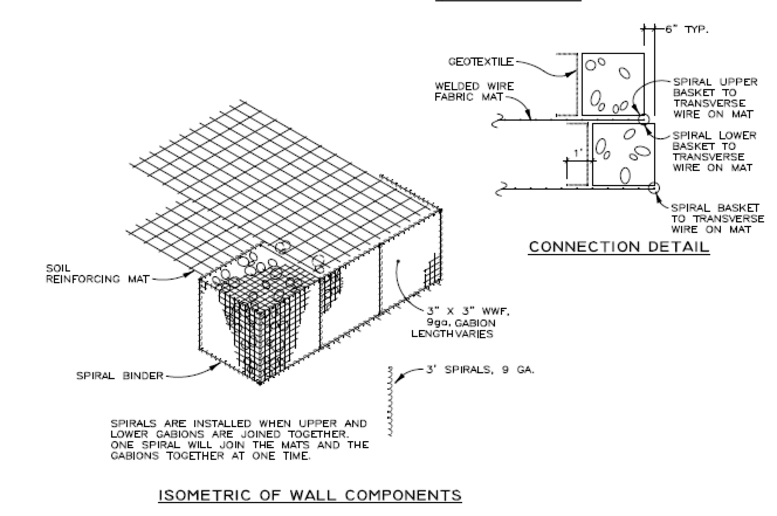 Mechanically Stabilized Earth Walls (M.S.E.) 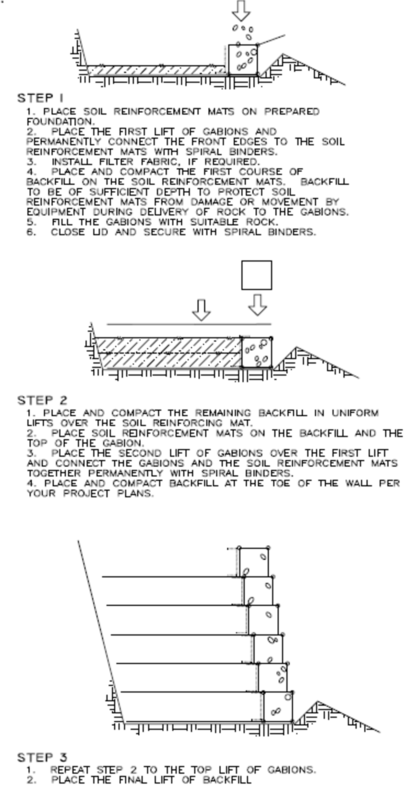 are reinforced gabion walls constructed using multiple courses of DURA-WELD™ or DURA-FLEX™ Gabion baskets integrated with flat steel wire mesh panels or GEO-GRID geosynthetic layers placed horizontally between the layers of gabions to lock into a slope with compacted backfill on top. 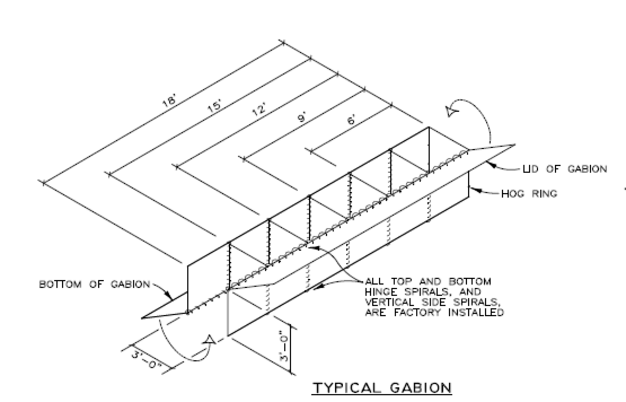 Gabion Supply offers materials for various types of Mechanically Stabilized Earth (MSE) and Reinforced Steep Slope (RSS) Systems. These solutions provide our clients with an array of aesthetics and facing options, allowing for the most cost-effective use of land while achieving maximum architectural and environmental value. We offer economical alternatives to traditional building materials that incorporate high-performance geo-synthetic products and High-Density Polyethylene (HDPE) soil reinforcement systems.